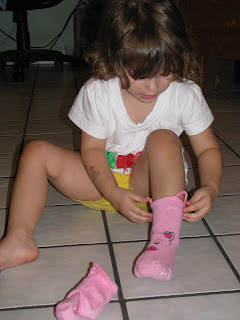 I was introduced to a great new product that can teach kids to put on their own socks! EZ Sox is the easy way to put on socks! The EZ Sox is the first and only training sock on the market today for children ages 2 to 5. EZ Sox are a wonderful gift idea for baby showers, for parents with toddlers, and a great stocking stuffer for toddlers and young kids. For parents of special needs children, EZ Sox addresses a daily need and offers these children self-sufficiency and empowerment. Created by parents who tired of seeing their young son struggle dressing himself, Eileen and Ronnie Gesser designed socks with pull-up loops on both sides of each sock, and fun graphics on the tops of the socks. In no time, their son was no longer frustrated and proudly dressing himself. Today this fun and easy teaching tool for teaching kids self-sufficiency is the only one of its kind. 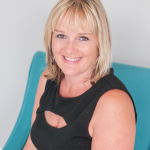 EZ Sox has been endorsed by TV’s The Doctors, Parenting Magazine, Raising a Sensory Smart Child author Lindsey Biel, OTR/L, and Mommy and Me founder/child development specialist Dr. Cindy Nurik. 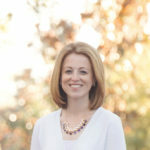 They have also been tested at physical and occupational children’s therapy centers throughout New York. We received a pair of EZ Sox to review. Savannah was excited to get the pink piggie sox. 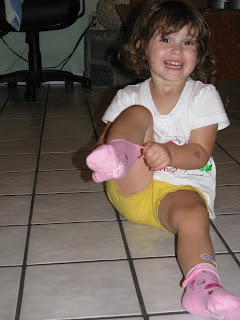 She already put on her socks by her self, however using the EZ Sox she is much faster. She wears them every time I wash them, so they are forever on her feet or in the wash! She loves them. And the designs are so cute! You can buy EZ Sox online at http://www.ezsox.com/. EZ Sox are also sold in 30 boutique stores throughout North America and one US Chain Store with 36 retail outlets and in Japan! EZ Sox would like to give one Mommy Has to Work a pair of EZ Sox! To enter visit EZ Sox and tell me which design you like best! Giveaway ends December 13h at 9:00pm est. US shipping. I received the above mentioned product to facilitate the this review. This did not affect my opinions. My opinions are my own. I love the piggy but I love pink too! My granddaughter would love the pink piggy or purple kitty! I think the bunny is really cute! Thanks for the review and giveaway! I like the olive T-Rex ones! I love the penguin socks. My daughter would look super cute in them! My daughter would love the kitty socks, these are pretty creative! We love the bunny ones and the frog ones. The frog and ladybug socks look great. I would just love the purple kitties for my daughter. I like the green froggy one!